Helms Heating and Air Conditioning Inc. Through the sweltering, thick heat of a North Carolina summer and the biting chill of winter, you need your heating and air conditioning to keep your home or business comfortable. For ensuring your heating and air can handle any kind of weather thrown at it, you can rely on Helms Heating & Air Conditioning Inc. You want the best possible solution for your home or business, and we’re dedicated to providing you with it. If you’re in need of a new system and someone to install it, you can count on us to provide you with a system and solution that fits your unique needs. Since Helms Heating & Air Conditioning Inc. has installed many systems in the area, we have earned a reputation for doing the job right the first time. 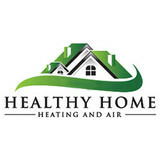 Healthy Home Heating & Air is a trusted provider of furnace repair and installation in Charlotte, NC and Indian Trail, NC. We focus on providing the best Charlotte HVAC repair solutions, always striving to surpass that of our competitors. Our team of factory authorized AC repair technicians can perform almost any repair, saving you both time and money by utilizing our experience to deliver the best possible results. We pride ourselves on being a local company that offers full service HVAC solutions that include upgrading, repairing, and installing high quality heating and air conditioning products. Services are available 24/7, to ensure that our customers get their heating and cooling needs handled efficiently and effectively. Why We Have Been Dubbed the area’s #1 Heating and Cooling Services Company? Our customers continue to use our heating and air conditioning services because they know our work is excellent, and our highly trained technicians are drug free and background checked. We offer free quotes, and there are never any hidden charges when customers call on us. Whether you want a heating repair service for your family home, or HVAC repairs for your business, we work diligently to ensure that our customers get the results that they need for prices that won’t break the bank. We have earned a phenomenal reputation in Charlotte and the surrounding areas. Satisfaction is guaranteed. We service the following North Carolina towns, cities and communities : Charlotte, Indian Trail, Stallings, Matthews, Monroe, Waxhaw, Weddington, Ballantyne. 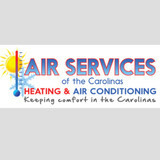 Air Services of the Carolinas serves homeowners and businesses in both North and South Carolina, providing HVAC installation, maintenance, and repair services in Charlotte, Fort Mill, Lake Wylie, Rock Hill, Tega Cay, Steel Creek, Gastonia, York, Belmont, Stanley, Denver and surrounding areas. Air Services of the Carolinas delivers a complete range of Heating and Air Services with particular importance on reliability, attention to detail, integrity, and affordable cost. Our Advantage: -Family Owned and Operated -No Answering Service -No Recorded Messages -24 – Hour Emergency Service -We Do It Right the First-Time -Ability to Speak to Service Pro -No Pressure Sales -Pre-Employment Drug Testing All Air Services’ technicians are employees of the company and not subcontractors. Our skilled NATE Certified technicians are a vital part of our continued success. Each technician has gone through rigorous training and supervised by senior staff members. This assures our technicians are able to quickly diagnose equipment malfunctions and offer the correct solution. Our drug-free work environment assures you will know the technician entering your home has passed all required background checks. Each employee is randomly drug tested monthly and not just at the start of their employment. If other work is required to complete the project, we may subcontract providers of electrical, drywall or cleaning to other qualified technicians. Product Warranty. We provide extended manufacture warranties on all the products we install. Duct Installation is provided by a lifetime warranty. If the duct system fails during normal use, or if a defective component is discovered, Air Services of the Carolinas will repair or replace the ductwork without an additional charge. Air Services operates 24 hours a day, 7 days a week. We are licensed and insured. We do not have an extra fee for evening or weekend appointments. We even work on holidays! Family owned HVAC company servicing Charlotte and the surrounding area since 1976. For more than 20 years, Panther Heating and Cooling Inc, has been your locally owned and trusted HVAC repair service and installation contractor. We are a Trane Comfort Specialist and repair all brands of air conditioners, furnaces, heat pumps and ductless systems. We are a GeoPro Master Dealer, installing WaterFurnace Geothermal heat pumps. Maintenance, repair and installation of residential & commercial HVAC systems. Custom design and installation of well thought out and properly sized home or business comfort systems. Non-commissioned service technicians that you can trust to only do what is in your best interest. Holliday Plumbing, Heating & Cooling has been providing superior plumbing, heating and air conditioning products and services since 1999. During this time we’ve created a solid reputation as a company with the knowledge and experience for all residential, commercial, and industrial HVAC needs. We are devoted to providing the best possible service at affordable prices. For honest, trustworthy and dependable HVAC service, choose the experts at Holliday Plumbing, Heating & Cooling. Contact us today for an estimate. All-Phase Heating and Cooling is a Christian Family locally owned Business that has been meeting Customer's heating and air conditioning repairs and installation needs since 2011. Our Company proudly offers heating and air conditioning repairs in Fort Mill, SC and heating and repairs in Rock Hill, SC. We also Serve residents in Union County, NC. 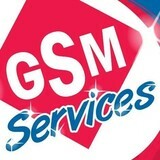 Our Service area includes. Monroe, NC Indian Trail, NC Matthews, NC Charlotte, NC Wingate, NC Pineville, Nc and much more! Concord Heating and Air Conditioning, Inc. has been in business since 1977 providing quality HVAC service to Cabarrus County and the surrounding areas. Concord Heating and Air employs highly skilled, quality employees in all facets of the business. Our technicians are factory trained, dealer authorized and CFC/ EPA certified. Several employees have been with the company in excess of ten years. Our service supervisor is N.A.T.E. (North American Technicians of Excellence) certified. We are a licensed, bonded and insured company. Are you looking for a contractor to perform commercial HVAC work? Is it time for a system upgrade? The capable folks at Cole's Comfort, are ready to take on the task! We are conveniently located in the North Carolina and are able to provide exemplary services to the various surrounding areas. From single installations to complete office maintenance, we offer sales, repairs, maintenance, and service on all kinds of heating, air-conditioning, and radiant-heat systems. We have several highly trained employees to help at any time. A dealership for Trane, which supplies a large line of super, high-efficiency equipment. We specialize in system upgrades. Let us put in a HVAC system with great energy savings, costing you much less on your heating and cooling bills. Guarantees and warranties are available, and we're certified to recover and recycle ozone-depleting refrigerants. We offer a full range of air conditioning products and services, outstanding on-time service and repairs, knowledgeable replacement advice, and quality new installations. We work hard to exceed our customers' expectations, and have served thousands of residential and commercial customers for many years. Is it too cold in your home in the winter? Does your a/c unit blow warm air? Do you need affordable repairs? Contact the professionals at Duncan Heating & Air Conditioning Inc. We are a locally owned and operated company with years of experience in the heating and air industry. Our owner, David Miller is committed to customer satisfaction and has a crew that upholds the same standard. Located in Statesville, we extend service to the surrounding areas. What do HVAC contractors do? “HVAC” stands for “heating, ventilation and air conditioning.” An HVAC technician or contractor specializes in heating systems, air duct cleaning and repairs, insulation and air conditioning for your Denver, NC home and other homes. Generally, Denver HVAC contractors or HVAC technicians work with or run companies that repair or install heating systems and air conditioning units for homes. But they have specialized services too. For example, if you are a wine collector and you are thinking of installing a wine cellar in your Denver, NC home, you might hire a North Carolina HVAC professional who specializes in refrigeration work. HVAC professionals can use their skills to help you to save money on your Denver, NC home’s energy bills by installing radiant barriers in your attic or split-zone heating and cooling systems to heat rooms like solariums while cooling upstairs bedrooms during warmer temperatures. Find HVAC contractors on Houzz. Look in the Professionals section of our website and search for North Carolina HVAC contractors. Read reviews and see how an HVAC contractor might approach your Denver, NC home’s heating and cooling challenges.